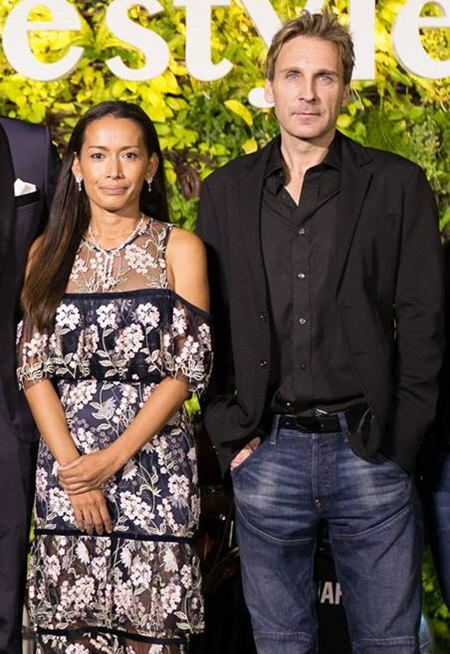 Sukanya and Winston Gale, owners of the Riviera Group. 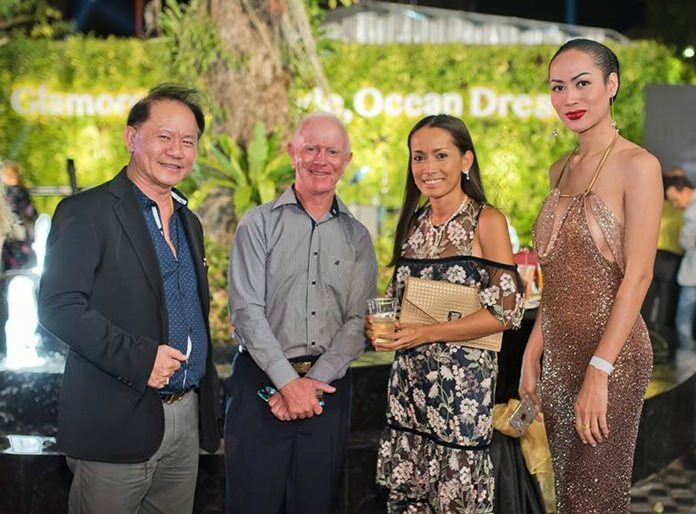 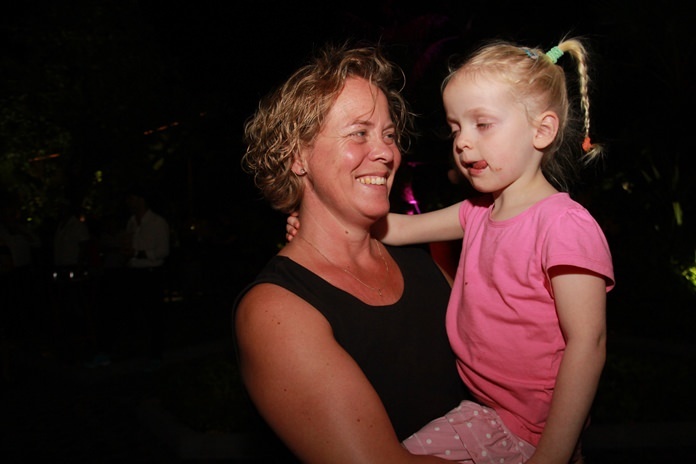 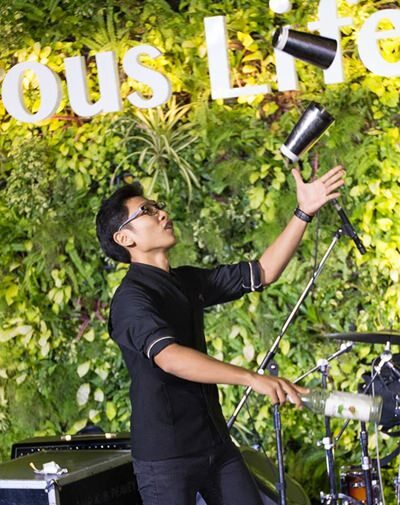 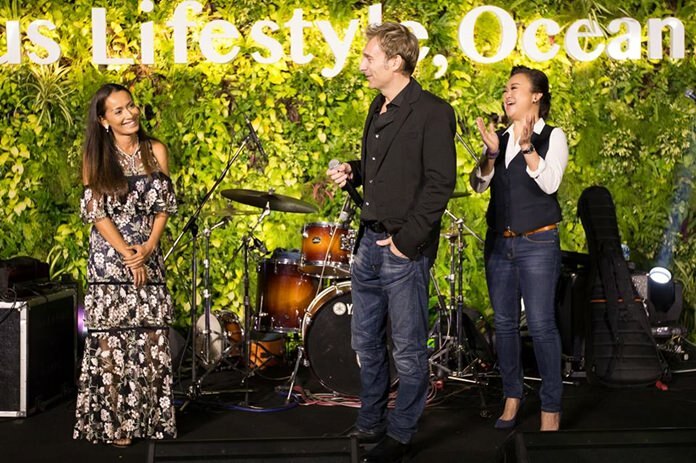 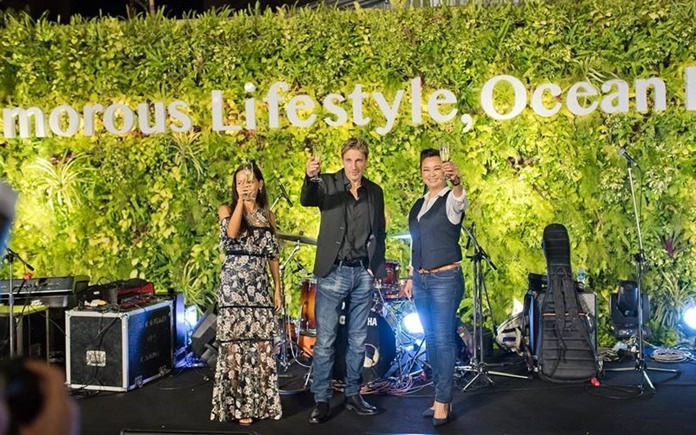 The Riviera Wongamat thanked customers, partners and friends at its “Glamorous Lifestyle, Ocean Dreams” party. 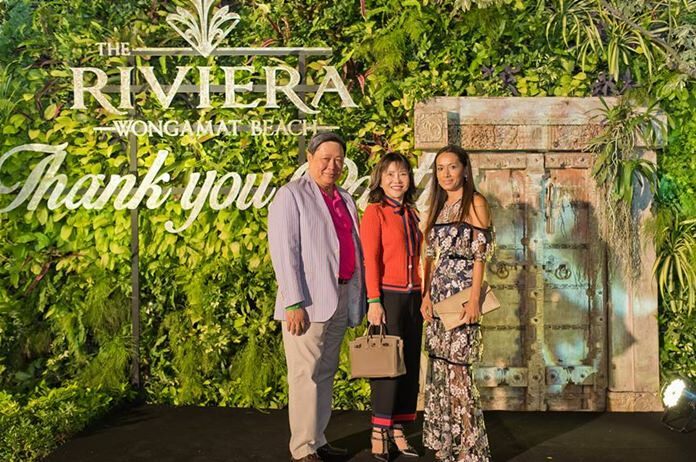 The celebration also marked the successful completion of the Riviera Wongamat Beach. 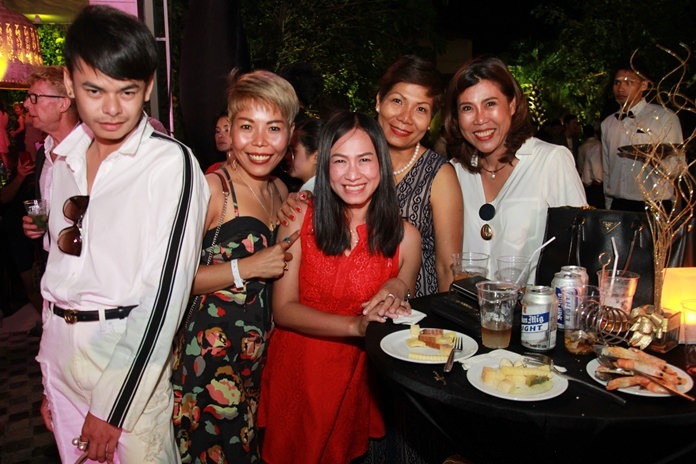 Doors opened for the lavish soiree at the Naklua Soi 16 complex at 5:30 p.m. Dec. 9, with guests offered a drink of their choice – and they were certainly spoiled for choice. 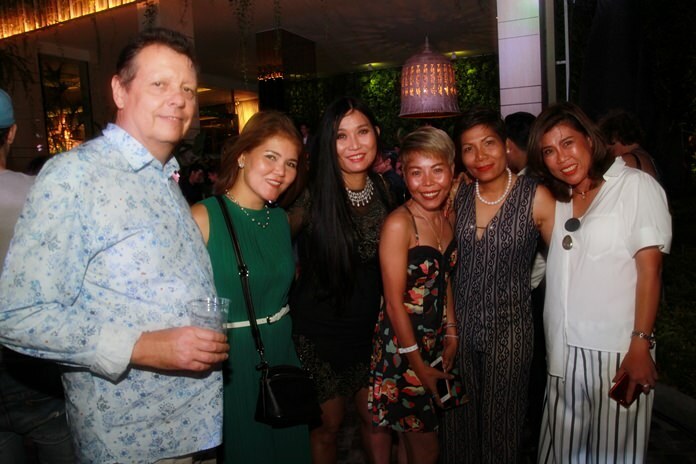 Attending were buyers of condominium units, property agents, reporters, local politicians, community leaders and others. 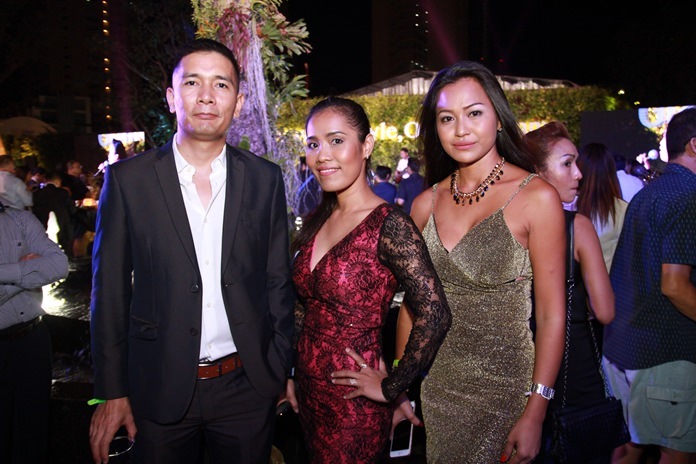 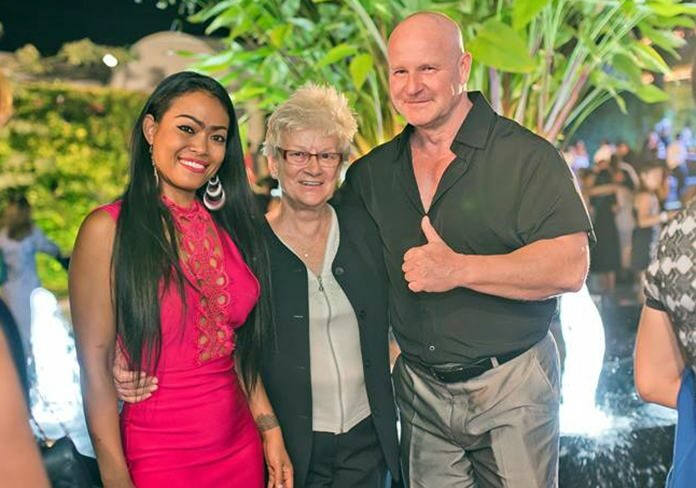 All in all, more than 1000 guests attended the grand affair including a veritable who’s who in Pattaya’s glitterati. 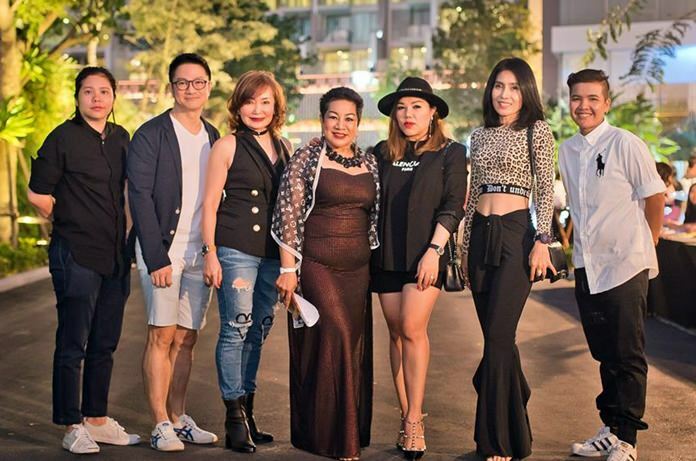 The party spread over the ground floors of the two tall towers glistening like jewels against the skyline and around the water fountain where the buffet, provided by the Centara Grand Mirage Beach Resort, was set up. 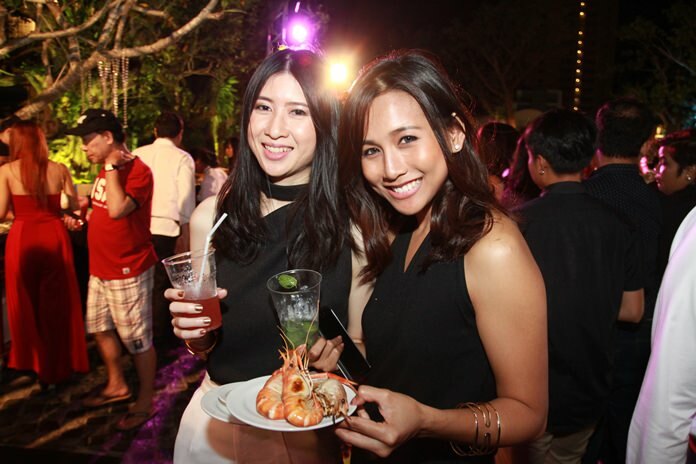 Tasty canapes, fresh baked pastry goods, Thai fusion, and fresh grilled seafood were on offer. 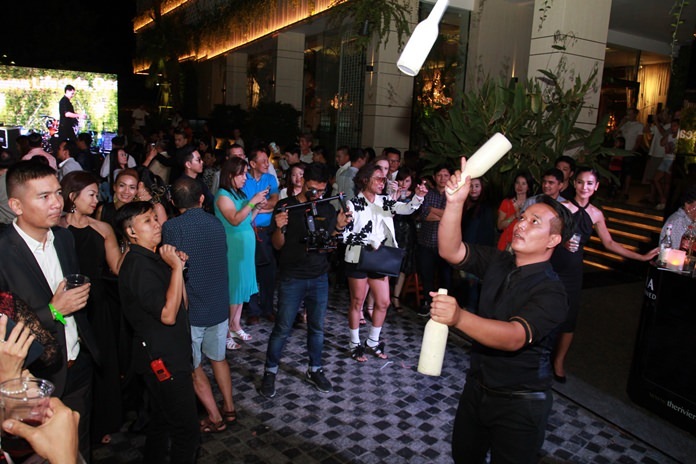 June Sawitri was the emcee for the night while entertainment was provided by Jennifer Kim and her band, followed by Bar Flair Man. 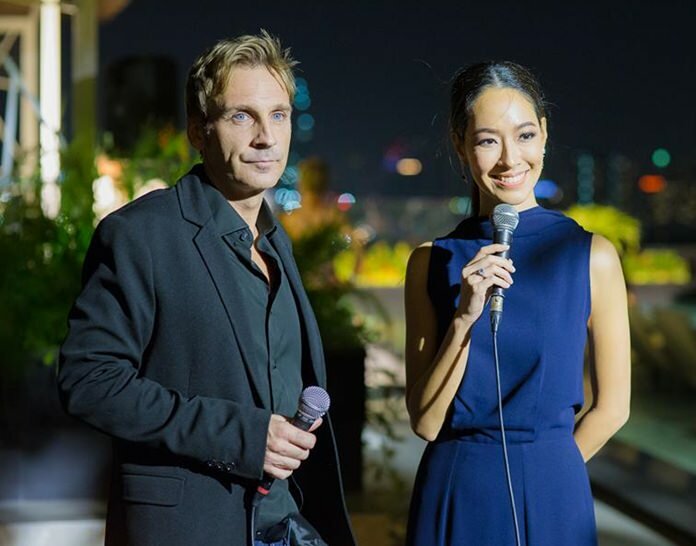 Winston and June live on TV from the topmost floor of the luxury condo. 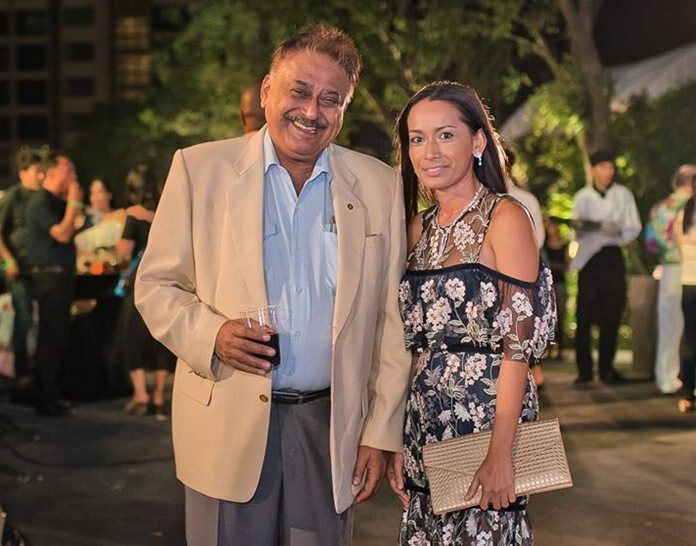 As Sukanya Gale greeted the guests on ground level, Winston was on live TV broadcast from the roof-top of one of the two towers, slowly descending from floor to floor, proudly showing off the highlights of his luxurious creation, ending up on stage to the cheers and applause of his guests. 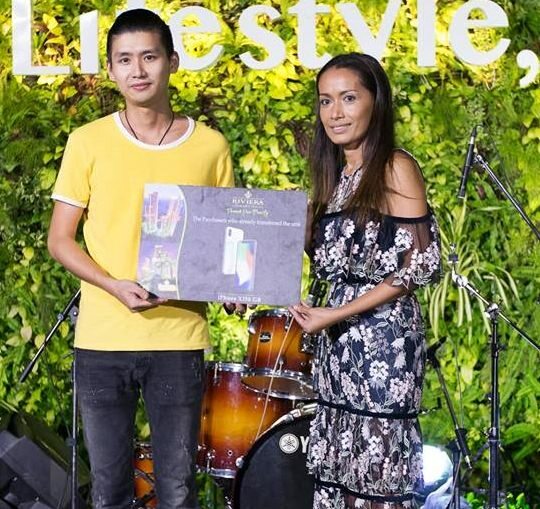 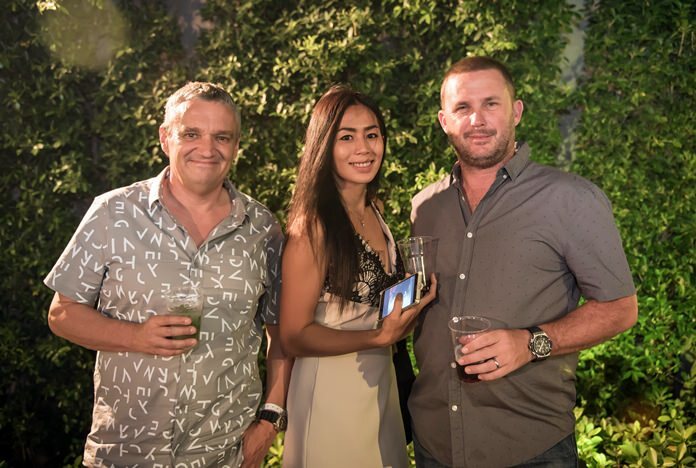 There was also a lucky draw on the night for guests to win an Apple iPhone X and three 1-baht gold prizes. 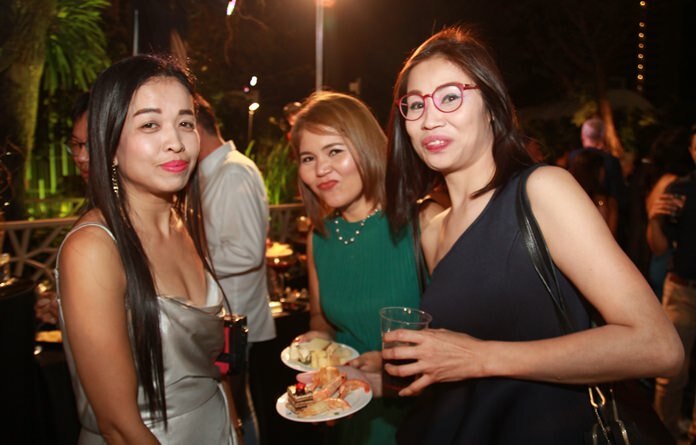 The evening was packed and lively throughout the night, as friends, property brokers, and the media gathered for the celebration. 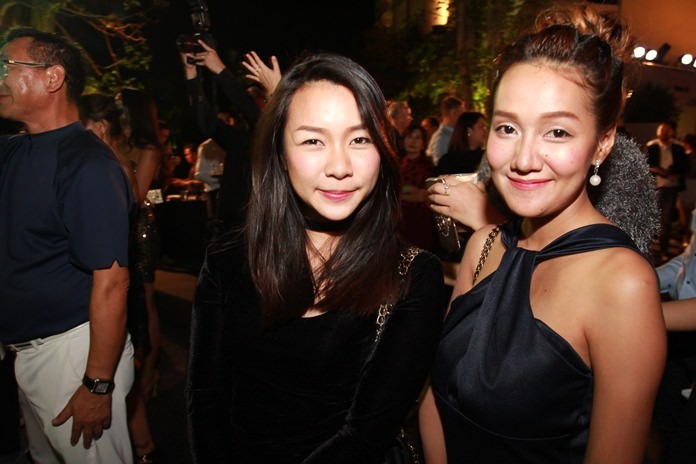 The classy event certainly held up to its theme. 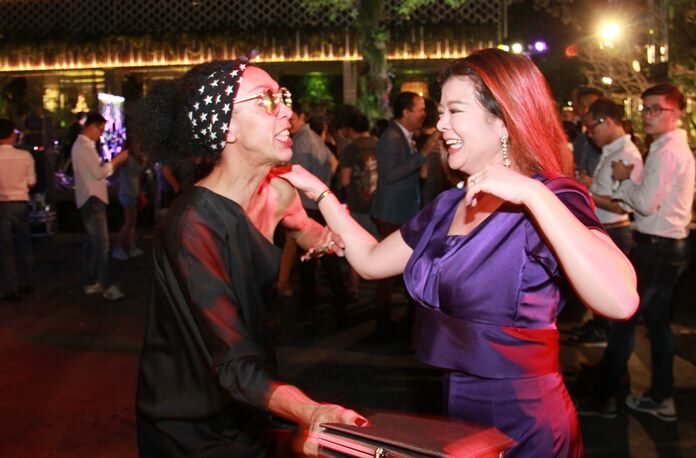 Sukanya and Gale smile at each other as if to say, “We did it again”. 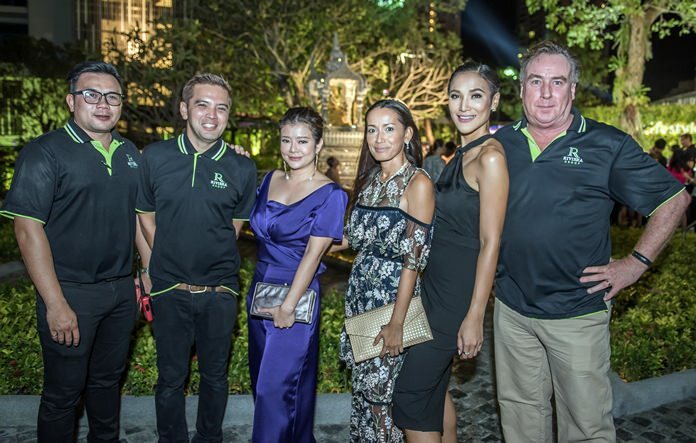 The party showcased and celebrated Riviera’s seven wins at the Thailand Property Awards in September. 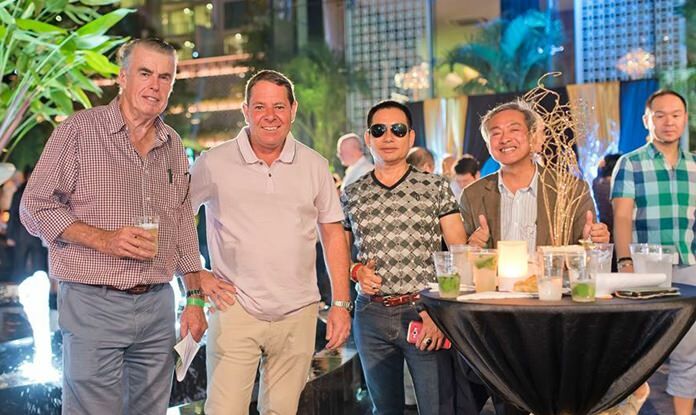 Dominating the Eastern Seaboard and Pattaya real estate market for a second year was the Riviera Wongamat Beach and the Riviera Jomtien luxury high-rise projects. 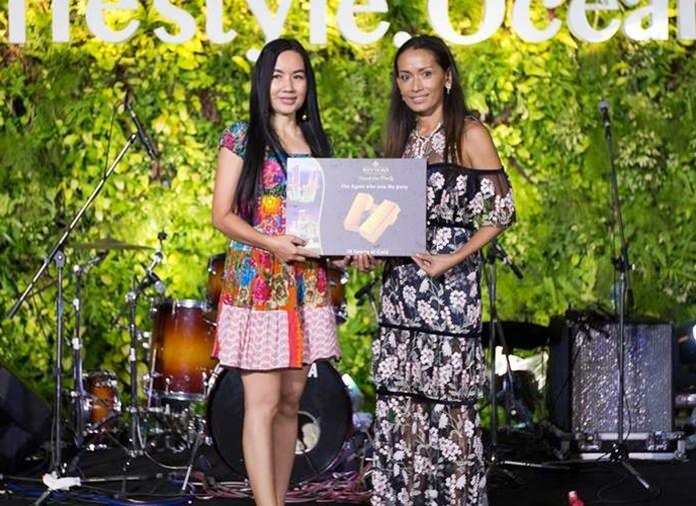 Among the seven awards was the prestigious “Best High-End Condominium Development”. 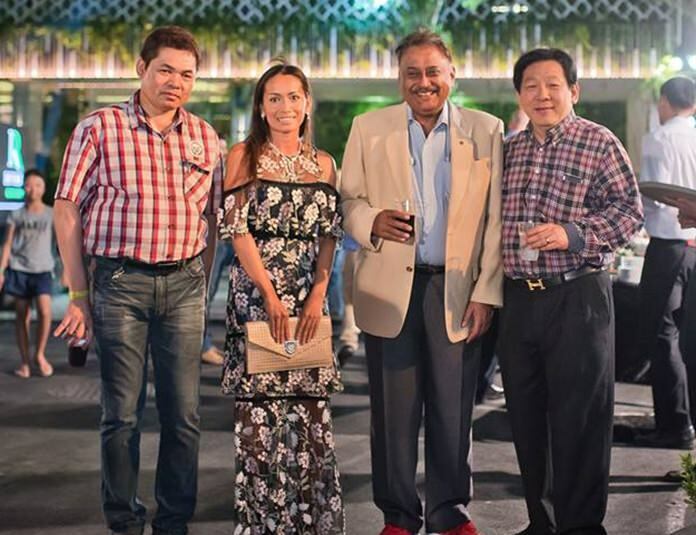 Sukanya, Winston and Jennifer toast to the successful completion of yet another magnificent project. 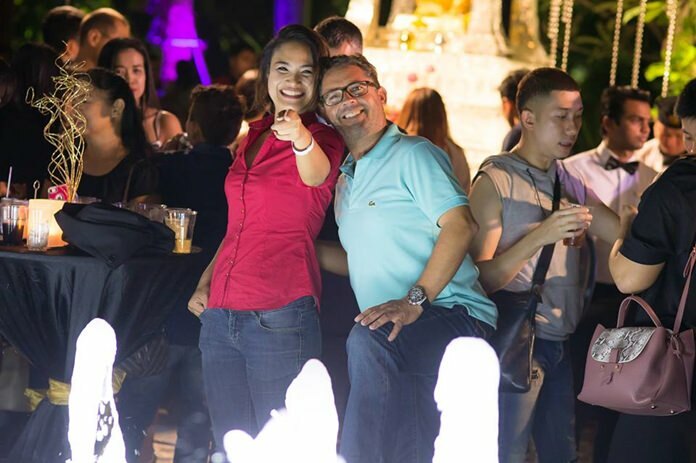 The Riviera Wongamat offers 979 units, two towers of 40 and 43 stories and is located in Pattaya’s prime residential area of Wong Amat Beach, Naklua. 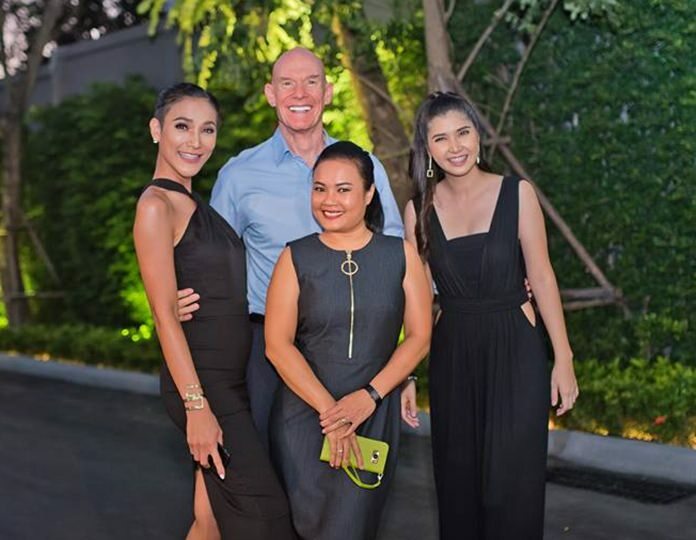 The Riviera Group is dedicated to create stunning, modern landmarks on Pattaya’s ever changing skyline with a focus on affordable yet high quality living. 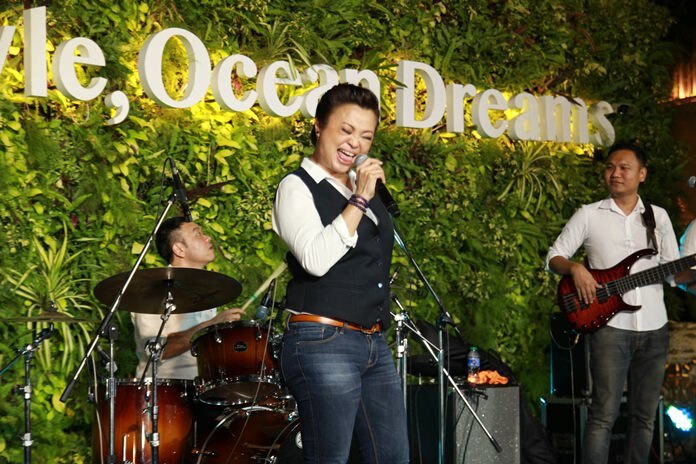 Jennifer Kim performs in her inimitable style. 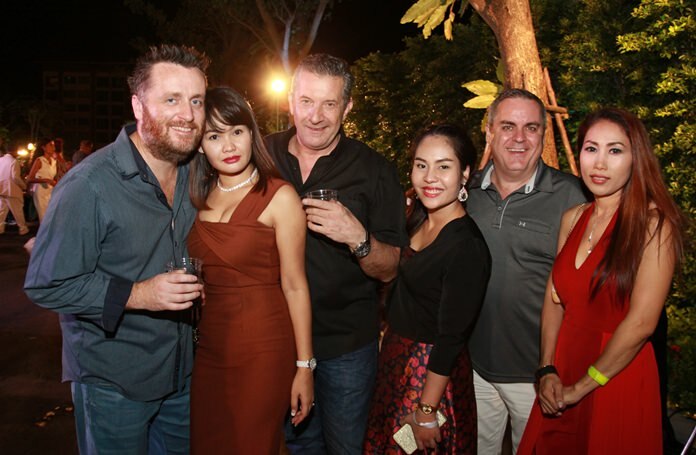 With strong financial backing and Gale’s drive and enthusiasm combined with an award-winning team of architects and designers, the Riviera Group aims to become a major force in helping shape the future of Thailand for many years to come. 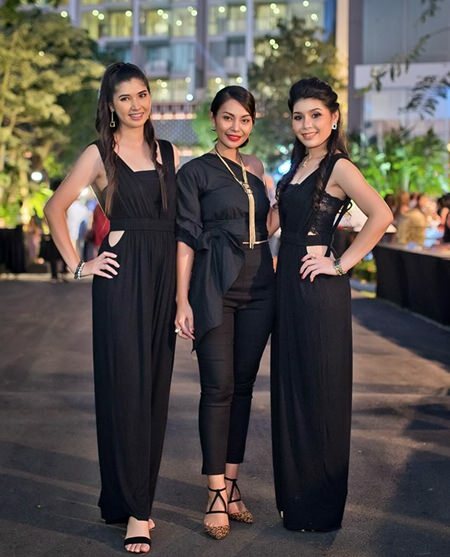 Sukanya poses with her proud and dedicated Riviera team. 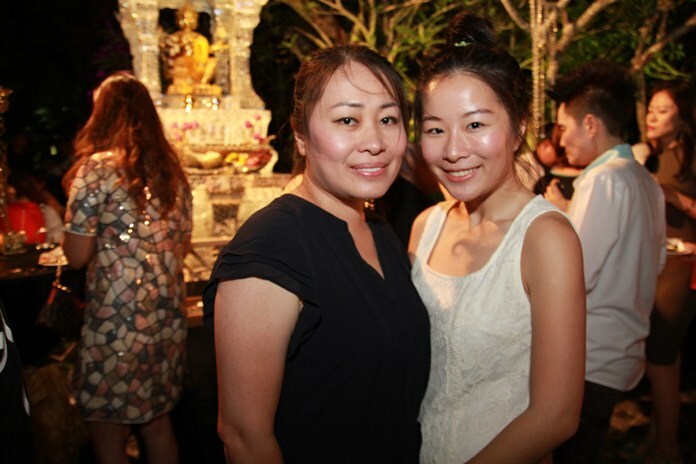 Ubonjitr Thamchop ‘Min’ together with the team played a major part in the success of this project. 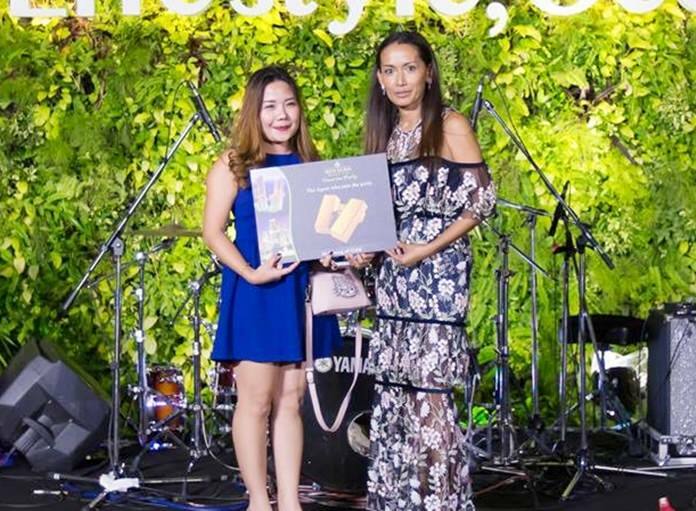 Sukanya Gale presents the raffle prizes of an IPhone X and two gold chains to the lucky winners. 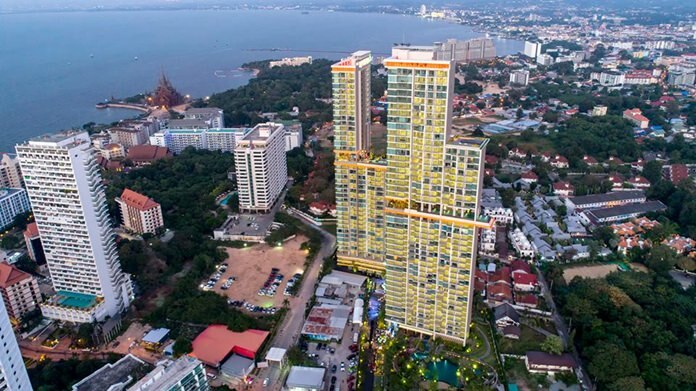 An aerial photo of the two tall towers glistening like jewels overlooking Pattaya bay.